The two main items imported from Pakistan are fruits and cement, which attracted customs duty of 30-50% and 7.5%, respectively. Fresh fruits, cement and leather are among the 10 main imported items from Pakistan that would take a major hit following the imposition of 200 per cent customs duty by India on products from the neighbouring country in the aftermath of Pulwama terror attack, say experts. The top ten products exported by Pakistan to India include fresh fruits, cement, petroleum products, minerals, and leather. Processed minerals, inorganic chemicals, raw cotton including waste, cotton fabrics, and glass and glassware are also among such items that account for 95 per cent of the total shipments. "After drastically hiking the import duty on goods coming from Pakistan, we will isolate them in front of trade. Hiking of the duty at this level would completely hit exporters of Pakistan," Professor Biswajit Dhar of Jawaharlal Nehru University (JNU) said. Sharing similar views, Federation of Indian Export Organisations (FIEO) Director General Ajay Sahai said that Pakistan would face significant impact due to this decision. The two main items imported from Pakistan are fruits and cement, which attracted customs duty of 30-50 per cent and 7.5 per cent, respectively. Domestic importers who have already placed their orders from Pakistan may face issues after this decision. They may have to pay the 200 per cent duty or undertake lot of paperwork to get their consignments, an industry source said. 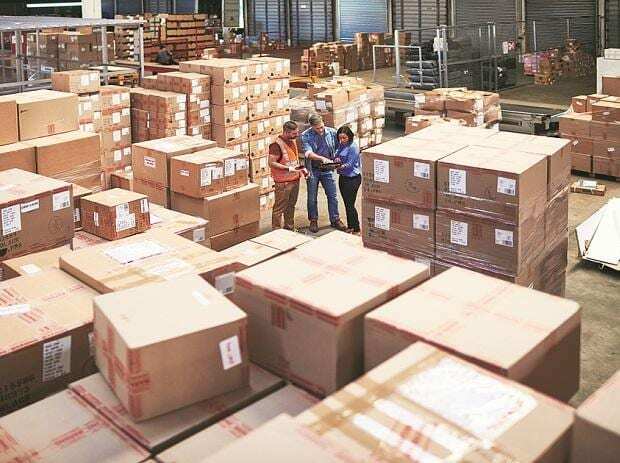 Taking strong economic action against Pakistan following the Pulwama terror attack, India Saturday raised the customs duty to 200 per cent on all goods imported from the neighbouring country. India's imports from Pakistan had increased to $488.5 million in 2017-18 from $455.5 billion in 2016-17. Hike in the duty would drastically increase the prices of Pakistani goods in Indian markets which would make them far less competitive as compared to other imported goods. Slapping an import duty of 200 per cent effectively means almost banning the imports from Pakistan. At least 40 CRPF personnel were killed and five injured on Thursday in one of the deadliest terror attacks in Jammu and Kashmir when a Jaish-e-Mohammad suicide bomber rammed a vehicle carrying over 100 kg of explosives into their bus in Pulwama district.